This project took an existing BMW Dealership and expanded the South parking lot to add a sales and services building while also increasing parking space to account for new Mini inventory. 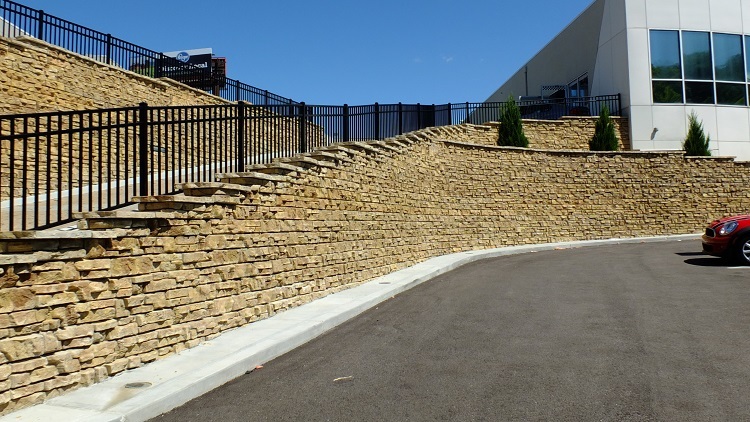 To achieve this, the site needed eight new retaining walls to break grade. The walls were designed to withstand heavy vehicular loading while using Sleeve-Its fencing system to maximize the parking space between walls. 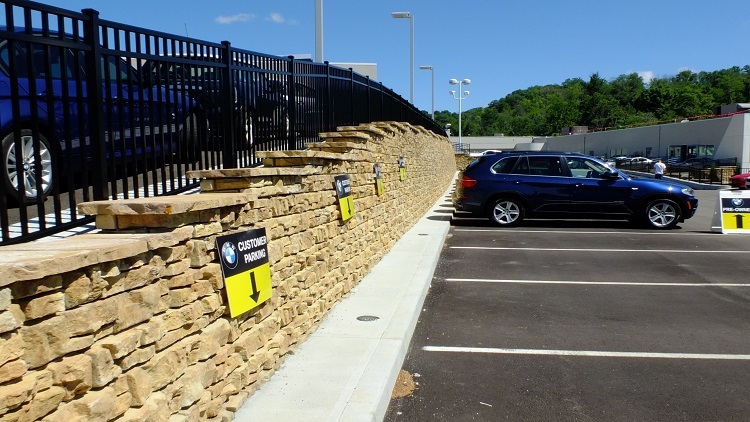 In the end, the Cincinnati Mini Dealership stands as the largest Redi-Scapes retaining wall project in the United States at nearly 10,000 SF. Copyright © 2019 Structures, Inc.